I was born on June 28, 1985 in a non-Christian family in India. We worshipped many gods and goddesses and everyday we went to the temple. As each days passed by, I longed to have peace and being in this situation I mingled with worldly friends and roamed around. 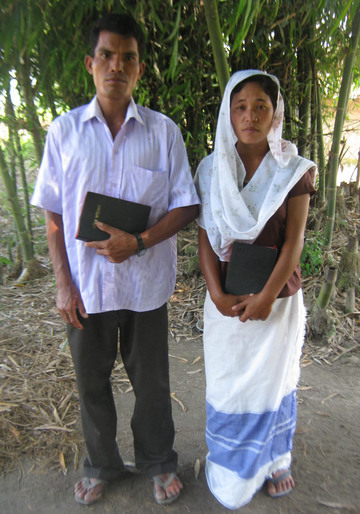 Once, a pastor from the local church came to our village to preach from the Word. He clearly explained about the life and death of Christ. He said that Jesus was crucified on the cross for the sins of mankind. He then asked us to join our hearts and pray along with him. As he prayed I felt the Holy Sprit was moving within me. I could not control myself and with tears in my eyes, I confessed my sins and received Him as my personal Saviour. 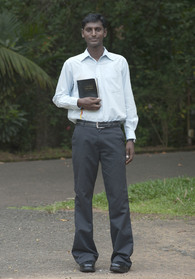 After transformation, I had a desire to serve my Lord as a missionary. I prayed to Him to know His will regarding my future. Through my prayers I was confirmed of His divine call. 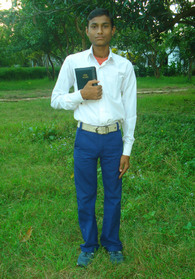 Soon, I enrolled in a Bible school to do an effective ministry ahead.